Explosive Power and Strength is a popular personal training guide for an effective workout. This bok offers the combined result of plyometric, resistance, and sprint training. Apart from this the Explosive Power and Strength book also shows readers how to create individualized, sport-specific programs. This book is written by Dr. Donald Chu, who has been a conditioning consultant for the Golden State Warriors, Milwaukee Bucks, Detroit Lions, Chicago White Sox, and the United States Tennis Association. 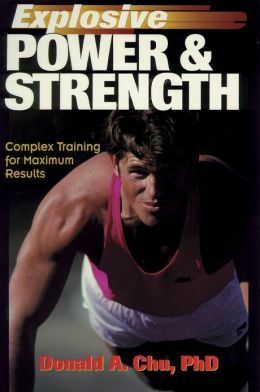 His book features 33 resistance and 45 plyometric exercises, with 115 detailed illustrations showing their proper execution.